We need to make sure we always move correctly. We want not only to avoid hurting ourselves but we also want to avoid hurting others. 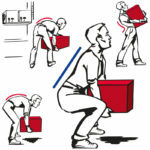 Keep close, bend down, back straight, chin up and lift the load. Make sure the load is secure at all times. Look at easier ways of moving a load, maybe break it down into smaller loads. Take care of steps or slopes and always follow your workplace rules. 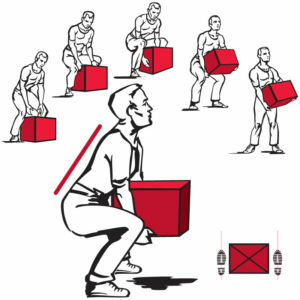 Correct manual handling techniques are not difficult and common sense and it is required to undergo manual handling training in the workplace.